Sadie pretty much knows most of her letters and doesn’t mind us quizzing her and asking her daily. She has a magnetic game on the fridge that she plays and we have several work books and games to help make it fun. The key is to make it as fun as possible and they won’t even know that they are learning. We have recently started on numbers and she seems to be enjoying that too. I don’t know how much as parents we are suppose to be teaching them and what they really need to know before they hit Grade Primary, but can you really know letters and numbers too soon? Growing Tree Toys have helped make teaching Sadie her letters and numbers a little more fun in the Nicholl household. We had the opportunity to review some of theirlearning toys. They are the Rub a Dub Shapes for the Tub ABC and 123 made by ALEX. 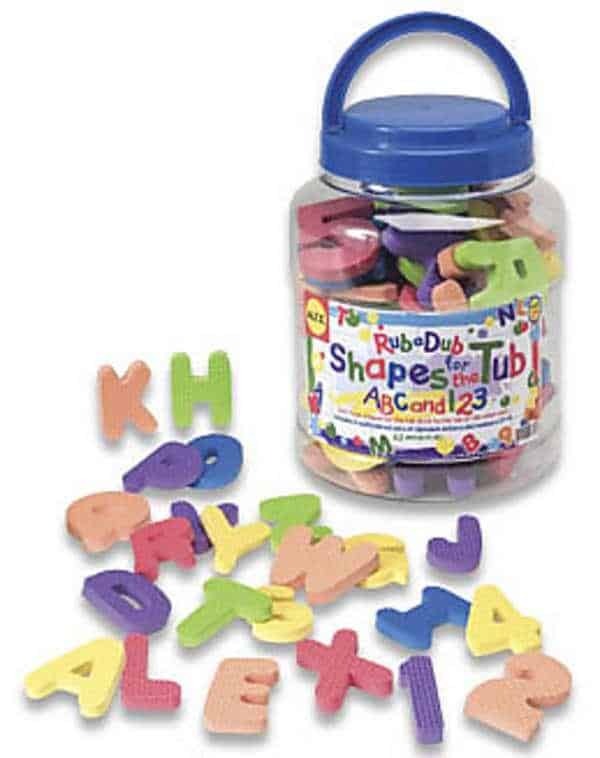 For just $11.95 you get 62 pieces of soft foam alphabet and number shapes. They stick to the side of the tub or tiles when they are wet. So your kids get a new toy for the tub while you teach them and they have no idea nor will they care. Sadie has learnt to pick out the letters of her name and its very rewarding to step into the shower the next day and see just what you taught the night before. Growing Tree Toys is a family owned business in State College, PA. They have been working together for over 30 years providing their customers with high quality toys for their children. They opened in 2003 and have been going strong ever since. The toys they have on their site will help you along your way to finishing your Christmas list for all those good girls and boys out there. I love these foam letters and numbers for our pre-schoolers. Fun and educational!